Did you know you can wash your face with honey?! Find out why this simple product works great as a face wash, and how you can kick it up a notch with another handy ingredient! 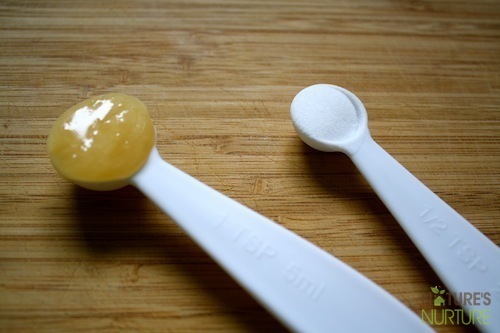 Looking for a DIY face wash that’s so natural and non-toxic, you could literally eat it? What if you could “make” it with just ONE simple ingredient that you probably already have on hand? Look no further, my friend, because I’ve found the magical unicorn! So, I’ve been using the oil-cleansing method for a deep clean about once a week. If you haven’t tried it, it’s wonderful spa-like experience! But because I don’t wear makeup everyday, it just feels like overkill to do it every night. So what do I do on all those other nights? Well, I’ve just been “washing” my face with warm water every morning and evening, and that’s been ok for me personally. But some days, I just need a little extra something, you know? And most soaps and face washes can leave your skin feeling so tight and dry. Not to mention, the ingredients lists can be a total turn off. I found the answer in the most unlikely of places, you guys! Apparently, you can wash your face with honey! Yes, that honey! I first heard about this idea from Crunchy Betty, and I was immediately intrigued. She even has a cute video on her site showing how she uses honey to wash her face. So here’s how to wash your face with honey. Keep reading to find out how to kick it up a notch with a few other ingredients for an even better cleanser! How to clean, clarify, and moisturize your skin with a simple honey face wash. Wet your face with a little warm water. Add a little honey in your palm, and rub your hands together to soften the honey and warm it up. Now just massage the honey all over your face (and neck if you want!) in circular motions. When you're done, simply wash it off with warm water! It's surprisingly easy to wash off. Simple, right? So I do this at night before heading to bed, and in the morning I just rinse my face with warm water, which is perfect for me. But you could do the honey wash for morning and night if you wish! 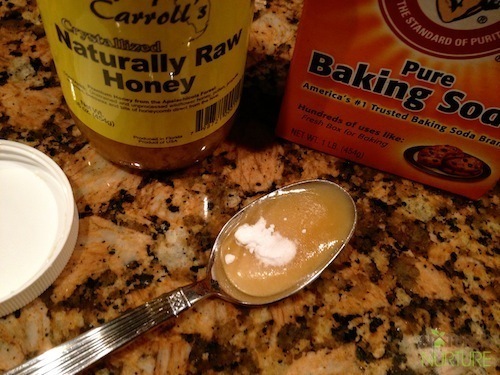 I happened to come across this post about mixing honey with baking soda to create an exfoliating face mask and scrub. Whaaaaat?! This sounded so interesting, so I went and tried it right away – and you know what, I love it! An exfoliating honey mask and scrub with the gentle power of baking soda. Start with a dry face. Put honey and baking soda in your palm and rub palms together for a few seconds to warm up the honey and work in the baking soda. 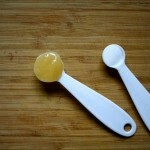 Gently apply the honey mixture to your face, and massage it in with circular motions for about a minute. If you want to use it as a mask, just leave it on for 15-20 minutes. Rinse your face a few times with warm water, or wipe off gently with a warm, wet wash cloth. You'll be surprised how easily it comes off! Since baking soda is alkaline, you may want to tone your face afterwards with some diluted raw apple cider vinegar to restore your skins pH level. Why should you wash your face with honey? Honey is naturally anti-bacterial properties, loaded with antioxidants, and very moisturizing, making it great for acne prevention, slowing down the aging process, and will give your skin a lovely glow. Baking soda is a gentle exfoliant and helps remove dead skin cells without causing too much irritation. Raw honey is best because it’s unpasteurized and still contains all the natural enzymes and health benefits. You can find it at all health food stores or online – just look for “raw” or “unpasteurized” on the label. Pasteurized honey has been heated at high temperatures, and is essentially devoid of all the good bacterial enzymes that make honey good for you. Crunchy Betty also has a useful honey guide you can check out. Although I love using Arm & Hammer baking soda is great for cleaning, I’ve since switched to this brand for my skin care and food uses. 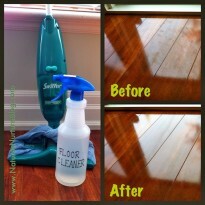 For more info on the difference between the two brands, check out this post from Crunchy Betty. This will NOT remove makeup on it’s own, but you could try mixing the honey with your favourite skin oil (almond or jojoba oil are good choices), and using this mixture to cleanse and remove makeup. 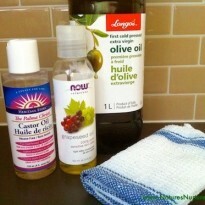 Also, the oil cleansing method is really great for removing makeup! If you are allergic to baking soda (or have sensitive skin), your skin may become irritated and red after using baking soda. Please take extra precaution, and stop using it immediately if you feel you are damaging your skin. Have you ever tried to wash your face with honey? But for washing your face, awesome. Can’t wait to try this tonight. Can I mix honey and baking soda earlier? Like, for example, I mix it now and then use it later. You could probably do so for a few days, but I’m not sure how it would hold up for much longer. Worth a shot though! Does the honey and baking soda tighten your skin on face also? No the honey is very moisturizing, so there’s no tightening. But the baking soda is very exfoliating. That sounds like it might be linked to something internal, and manifesting itself in this way. If you have access to a naturopath, I would highly recommended scheduling a visit to get a professional opinion. Hi, wonderful post, I have a problem. I am African and this was my first time exfoliating. I used baking soda and water. After rinsing and splashing my face with cold water, I applied aleo vera for some hours. During the time, aleo vera was on my face, I noticed scaly dark spots all over my nose,forehead and cheeks. I quickly washed it off but the spots are still there.Is this a bad reaction to the baking soda or the dead cells did not shed or what? Is there anything I can do to clear the scaly black spots? Pls I really want some advice. Hello. Is it really ok to use ACV after applying honey mask and scrub? I love organic products and any antioxidant items and have tried all of them – but the Somaluxe Face Wash is the best. I used the Somaluxe Wash in the morning, and can still feel my skin zinging right into the evening. It is really important to me to find superior quality natural products and i enjoy the texture. It is so wonderfully refreshing to look at the ingredients list and not squirm! I have not found other brands have achieved this – even products over $50 each! Save yourself from overspending on items that will not do the best for your skin, and stop battling with age. Hiiii! Can I pls know if I can use the honey + baking soda on the surgery stitches marks?? Wht else can I use to vanish the marks?? I’m sorry, Harsh, but I really don’t know what to use on stitches marks. But I don’t think this mask will work. Perhaps try a Google search for “get rid of stitches marks” or something like that? Best of luck to you! Hi Sarah! I love all your post, and I am a very big fan about this website! I wanted to ask if it’s still okay to use Organic Honey? ( The one you buy in Super Markets). Thanks for delivering us all these fantastic scrubs! Just found your blogg when looking for home made peeling. You wanted to know about our natural skin care. Well, I do no poo with honey, baking soda, and an egg as wash. I have moisturating for my lips made from rendered, store bought pig fat, olive oil, coconut oil and yellow bees wax. I also have a hand moisturater with little less wax than previous and a few drops Lavender essential oil. I use tea tree oil for various skin problems like dermatitis, foot fungi(? ), acne, infections in small cuts, well almost everything. I have a deodorant with water, an exscess of alum salt and a few drops lavender. Needs to be reaplyed one more time during the day. I make solid soap bars from olive oil and sodium hydroxide. I make a scalp “medicine” using horse tail, yarrow and comfrey, water extraction. I also use plantain extracted in oil and also resin from different pine trees. Ah, this is what I can think of in a few minutes. All natural here. I definitly never ever use paraffines, vaselines or any kind of silicones on myself or my family. That sounds awesome, Malin – thanks for sharing! I love your concept of nature nurture.beliving in the nature ways of cleaning and maintaining the skin for long last results.wish to do more finding on natural mosuturizing oil for light complexion skin. I have ringworm will i use baking soda and honey , to cure it? I’m sorry, but I have no experience with ringworm, so I can’t comment on that. I would consult with a dermatologist or a naturopath. Best of luck to you! I have been looking for a facial scrub for a very long time. I used to use the apricot stuff back in the day, but it is too harsh. I absolutely LOVE the Shielo Complexion Scrub! I am now a loyal fan. I have oily but relatively sensitive skin and this is just the right amount of exfoliation without drying or irritating my skin. My skin just feels really smooth and clean afterwards. Haven’t tried coz my skin z tooooooooo sensitive.. will that gonna work for me?? Can I make more at a time and store it in a container in my bathroom? What is the shelf life on the honey/baking soda scrub? 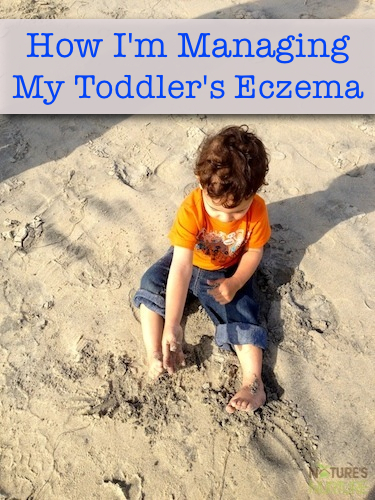 I am 33 and never had skin issues until after the birth of my second son. I have also been into preventative skin care and now that I am over 30 and I have been stepping it up a bit more. I use the Shielo Complexion Scrub twice weekly.ONLY TWICE PER WEEK. This is by far the BEST at scrub that I have come across. First time I used the Shielo Scrub I thought it felt and smelled a lot like other products I have tried but when I rinsed off I could immediately tell a difference…I couldn’t stop touching my face because it was THAT soft. hi i am an African lady and just wish to fine out if the Baking Soda for Blackheads will be ok with my skin and also where can i buy the baking soda if not can i use the bicarbonate soda ? my skin was so soft that my baking soda is not in my kitchen anymore ! Love this mask !!!! It feels so good on my face. Thanks for the tip. For my mask I used Manuka honey. As a middle aged woman in my late 40’s, I now wash with manuka honey, all on its own, and my skin feels good. I was glad to dump chemical peels and peach scubs in favor of masks and honey washes. But it takes some time and prep, so I always have a bottle of Dr. Bronner’s castile soap on hand, which we use for everything from hand soap to body wash, even shampoo if we need it! And I’ve got a few posts for laundry as well! For cleaning and soothing, I have used raw honey on its own, or a combination of raw honey and brown sugar for exfoliation, both with pleasing results. I gave the recipe for baking soda and raw honey a try yesterday. The positive aspects: It goes on nice, stays on the skin, and washed off easily. I apply it all over my face and neck, with consideration for keeping it out of the eye area and off the lips. I also applied the mixture to the back of my hands, and massaged it onto my nails and cuticles. My nails looked healthy and buffed after this application. The negative is minor, but worth mentioning: While I didn’t apply it directly to my lips, the area near my lips had a mild burning sensation that I didn’t care for. Further, while I didn’t intend to taste it, nor is it the aim, the flavor was unpleasant. Again, not a major concern. However, one of the aspects I like about using only honey, or the honey and brown sugar combination, is that I can apply it to my lips and the resulting taste is nice. It is a little thing, but something to authentically enjoy during the process. As for skin exfoliation, I found baking soda to be less effective than brown sugar, but the degree of exfoliation desired will vary between individuals. Going forward, I will exfoliate with honey and brown sugar, but give myself a nail and cuticle exfoliation with the baking soda with honey. Now that I think about it, I imagine this would be great to apply to feet as well. My moisturizer is either organic unrefined coconut oil, or grapeseed oil. Someone mentioned apple cider vinegar as a toner, which I am now inclined to try. I love OCM!! I have been using for awhile, but only use it twice a week. I would love to go all natural everyday using OCM and your raw honey scrub but not sure how. I use OCM at night… So what would I wash my face with in the morning and moisturize with after the shower. I don’t want to use products that strip my skin of their oils because that would defeat the purpose. Do you have suggestions based on your regiment? I am in sales and have to wear make up and do my hair everyday. Any help would be greatly appreciated!! You can actually use just the raw honey (without baking soda) as an everyday face wash in the mornings! 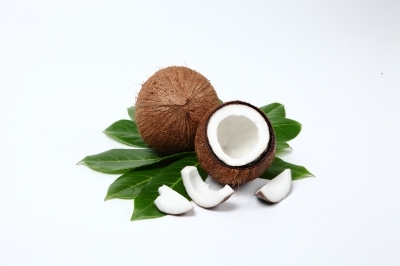 For moisturizer, I just use some virgin coconut oil. Since you wear makeup everyday, instead of doing OCM every night (which may be too much, depending on your skin type), you can just use straight coconut oil as a makeup remover at night. Basically it would be the OCM process, but with just coconut oil. You may also want to use a toner afterwards to get the last bits of makeup that may be left. 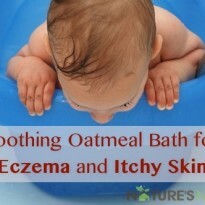 Apple cider vinegar or witch hazel is great for this. Love this idea of using both honet and baking soda together, is this okay to use on all skin types, because i have oily skin and i’ve read on some other sites saying that honey might futher aggrevate the acne…? I have sensitive, oily, acne-prone skin and at 40 I’m also trying to combat premature aging. I tried the following mixture last night and this morning and my skin has been glowing with a silky smooth feeling all day. It also minimized a pimple that was forming. I added a minimal amount of unrefined raw cane sugar because I only wanted a mild exfoliation – nothing too abrasive on my delicate skin. 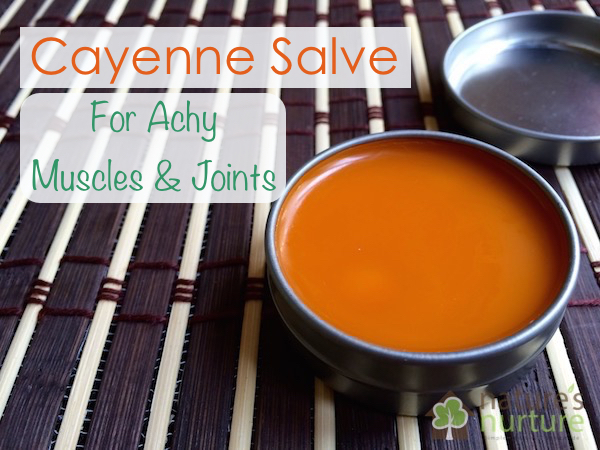 i also used this recipe as a lip exfoliant before applying my matte lipstick. I’ll experiment with adding banana as a mask. I love it! So simple and effective. Thanks so much for sharing! This looks so wonderful! I use honey and yogurt as a face mask and it’s so nourishing. Thanks for sharing this on Waste Not Want Not Wednesday and hope to see you back next week 🙂 Also, I’m following you on Pinterest now – so many boards to choose from, you’ve got a fabulous collection! Love it! Pumpkin is really good, too. I make a honey pumpkin and coarse sugar scrub that I love for feet and elbows! This is great! I’ve been trying to source local honey anyway–good to know I can use it in my beauty routine, too! I love honey for skincare, definitely trying this tonight!